There are wonderfully unexpected sounds coming from Our Lady of Perpetual Help Byzantine Church in Albuquerque, New Mexico. The songs of the saints there are not in Latin or Spanish or English, but Arabic. Due to the increasing persecution of Middle East Christians, 2000 year old communions in the Middle East are emptying of their members who are seeking a better life in the West. One positive consequence of this tragedy is that a revival of Maronite and other Orthodox branches of Arab Christianity in the United States is beginning. 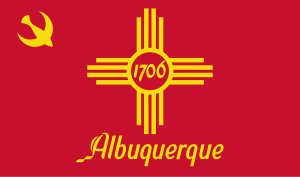 The Arab Christians are going into exile from their homeland and beginning to regroup in, of all places, Albuquerque. Arab Christians are moving from around the United States to join the new communion that meets in Our Lady of Perpetual Help Byzantine Church in Albuquerque, to have services in Aramaic and sing hymns in Arabic. Refugees, who have been hiding out in Catholic churches around the United States for decades are once again enjoying the liturgies of their fathers, in their own language, making the faith of their fathers come alive in conditions of freedom their people haven’t known for generations. Strategically, for the good of our Catholic faith, it would be best for Arab Christians to stay in the Middle East, protecting their heritage and fulfilling the great commission there through combating Islam on the ground, freeing Arab tribes from the clutches of the Koran. But with little support or local leadership, as well as the unguided militarized spread of democracy in the Middle East which has institutionalized Islam’s stranglehold on state mechanisms of coercion, there is little freedom and little hope for stable worship or a decent livelihood. The result of the disappearance of Christians in the Middle East is a growing enclave in the Unites States which helps the survival, renewal and growth of Maronite and other Arab Orthodox communions. It encourages the survival of their distinctives; their language, liturgics, songs and prayers, all the while, giving hope and rest to the Arab diaspora. It builds their faith and allows for structural and missional regrouping, which will hopefully reverse the flow out of the Middle East and lead to a surge back into the homeland.